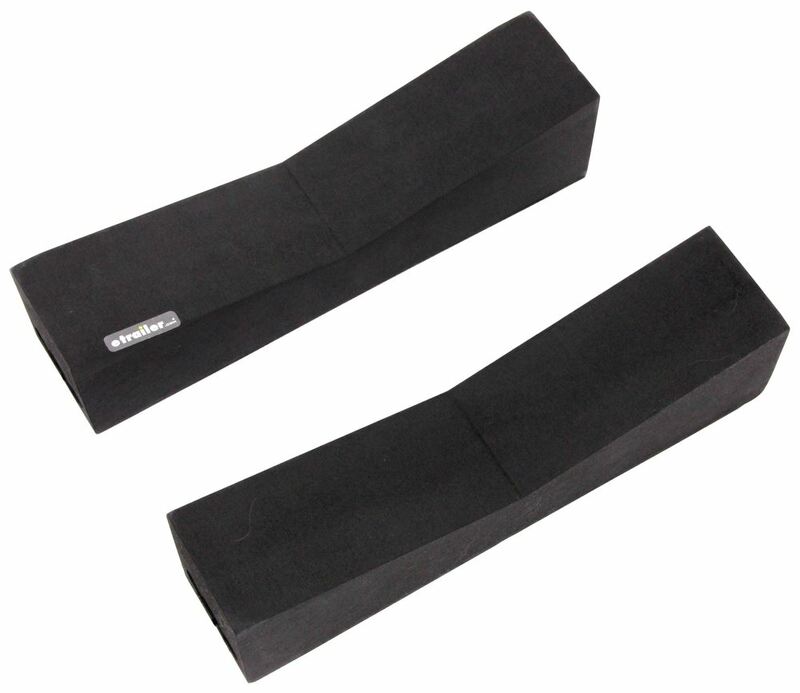 Perfect for naked roofs or for any roof rack configuration, these foam blocks provide a simple solution for carrying your kayak, SUP, or surfboard. 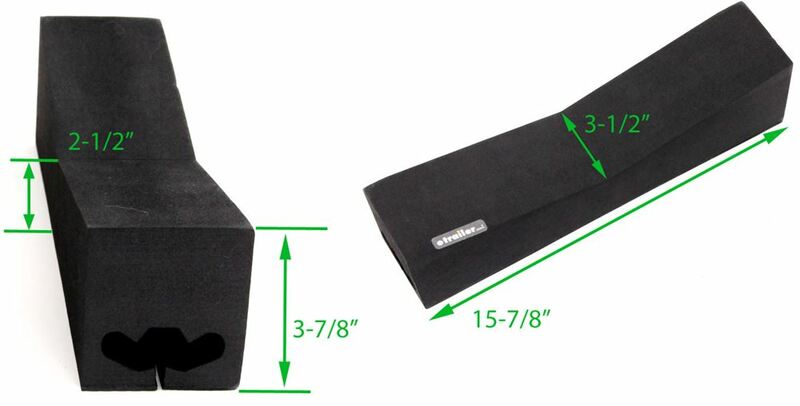 Non-skid blocks provide a platform to hold your board or boat hull side down. Lowest Prices for the best watersport carriers from Swagman. Swagman Coastal Kayak Carrier - Foam Block Style part number S65156 can be ordered online at etrailer.com or call 800-298-8924 for expert service. Height at ends of block: 3-7/8"
Height at center of block: 2-1/2"
Speaker 1: Today we're taking a look at the Swagman Coastal Kayak Carrier. The two rectangular foam blocks let you transport one canoe, kayak, stand-up paddle board, or surf board on your vehicle's roof. This is designed to fit most hull styles. It's great for naked roof applications, but it also has these cutouts here so it will fit most roof rack cross bars, as well. On the bottom side, it features the laminated anti-skid pads that prevent the blocks from shifting on your vehicle's roof. Tie down straps are needed to fully secure your gear. Straps are sold separately. 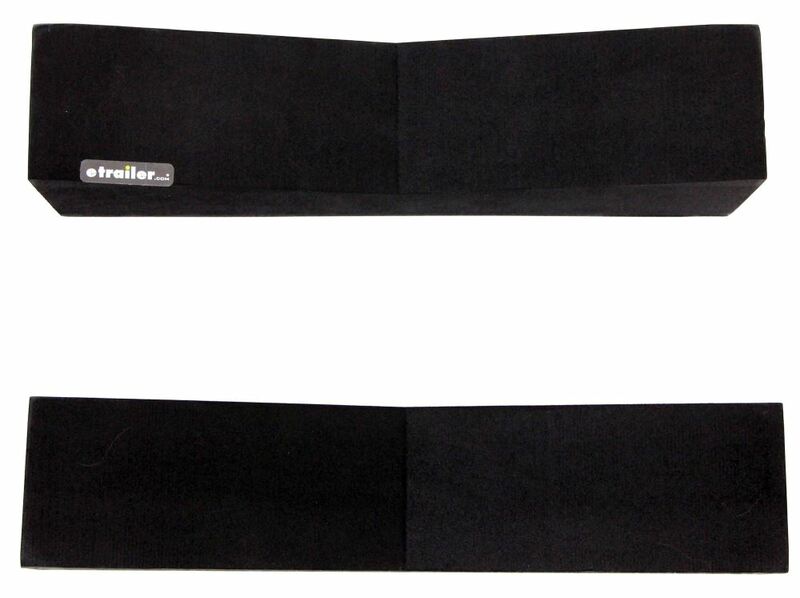 If you're in need of some tie down straps, you can check out some options at etrailer.com. This is designed for naked roofs and round, square, elliptical, and most factory cross bars. Again, the capacity is one canoe, kayak, stand-up paddle board, or surf board. When it comes to the dimensions of the blocks, each one measures the same. So we'll just take a look at one of them. Overall length from edge to edge, it's about 16", maybe 15-7/8", right in that area. The height at the ends of the block: 3-7/8". The height here at the center: 2-1/2". The overall width, that's going to measure 3-1/2" wide. These are covered with a limited lifetime warranty. That's going to do it for today's look at the Swagman Coastal Kayak Carrier. 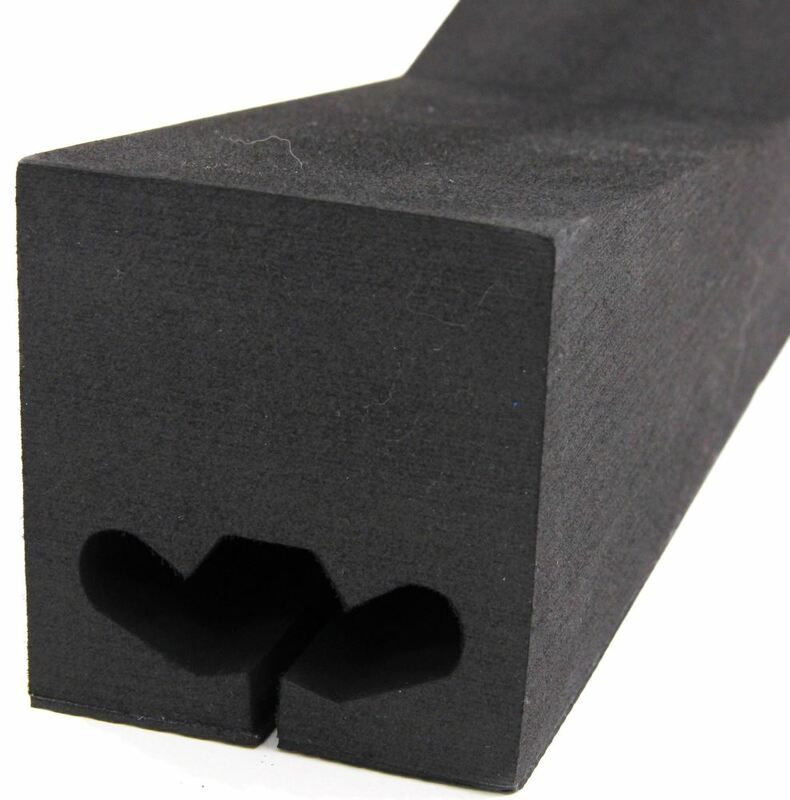 Order: RelevanceNewestRating - High to LowRating - Low to High Perfect for naked roofs or for any roof rack configuration, these foam blocks provide a simple solution for carrying your kayak, SUP, or surfboard. 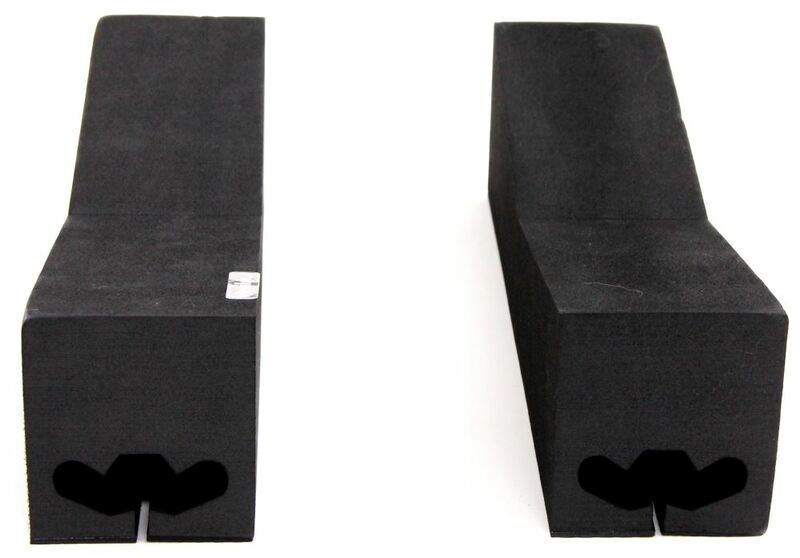 Non-skid blocks provide a platform to hold your board or boat hull side down. The carriers have held up very well. I leave them on the crossbars all the time and there has no decomposing. Very happy with purchase. Foam block carriers such as Swagman Coastal Kayak Carrier - Foam Block Style Item # S65156 are designed as a temporary, short-distance solution to carry a kayak. On a van that has sliding side doors they wouldn't work because on a naked roof it would require running straps through the interior of the vehicle. You would instead need a roof rack for your van. I can make some recommendations if you can tell me the year, make, and model of the van. Since your Tundra probably does not have a roof rack on the roof, then the Swagman Coastal Kayak Carrier Foam Block Rooftop Canoe Carrie, # S65156, is a great option for you. The Swagman foam blocks will give you two foam cushioned spots to rest the canoe on the roof of the Tundra. 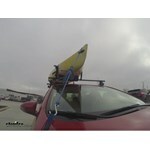 The carrier also includes tie-down straps to secure both bow and stern of the canoe to your vehicle. We can help you get your Prius Prime set for the surf. Since Thule, Yakima and Rhino-Rack do not yet offer aftermarket roof racks for your 2017 Prius Prime's naked roof your best bet for surf board transport is the Swagman Coastal Surfboard Carrier # S65156. 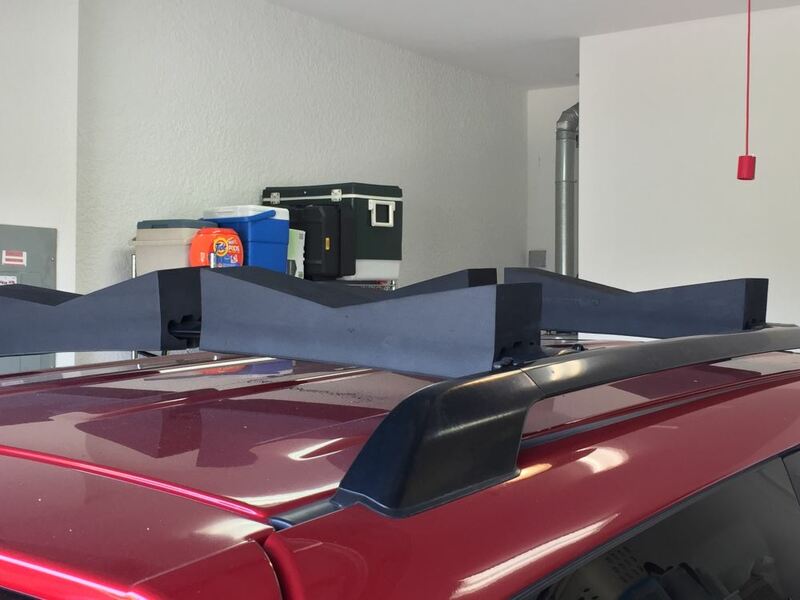 This foam block carrier is inexpensive, lightweight and allows you to retain the car's normal appearance when you're not heading to the beach. 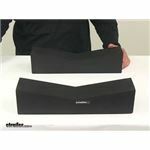 The two linked videos will show you the features and installation of this carrier system. The Swagman Coastal Kayak Carrier part # S65156 will fit on to naked roofs like what you have on your 2014 Kia Optima so it would work well to carry your 10 foot kayak. This is a great, economic way to carry a kayak without having to also install an expensive roof rack. For straps you will need the # S65137 as well. Be sure to check the owners manual of your Optima to determine the roof capacity. I went out to the warehouse and pulled Swagman Coastal Kayak Carrier # S65156 to measure it. The length is 15-7/8 inches. At the ends it is 3-7/8 inches tall. At the center it is 2-1/2 inches tall. And it is 3-1/2 inches wide. This set of blocks does not come with straps so you would need to add some, # S65137. 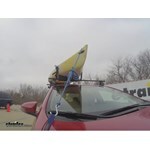 Since you are supposed to tie down the front and rear of a board or kayak, ding so would also hold the pads down in place so you would not have to run straps through the vehicle. We do have a variety of options to help protect your kayak. These range from the foam blocks # S65156 that you referenced to the linked page of crossbar pads like the Yakima part # Y07412 which are 20" long. If you can let me know what load extender you are using I can make more of a specific recommendation.